Durable eucalypt timber is hard, strong, and naturally resistant to decay, so can be used without any chemical treatment. Many eucalypts have the potential to grow well in New Zealand’s eastern dryland regions and produce highly durable timber. The NZDFI's aim is to produce genetically superior durable eucalypt planting stock for New Zealand's land owners. There are over 700 species of eucalypts or ‘gums’, all indigenous to Australia. Some, but not all, eucalypts produce timber which is naturally highly durable. Early pioneers first planted eucalypts in New Zealand back in the 1830s, recognising their potential to grow fast and produce attractive timbers suited to a range of end uses. From that time, the challenge has been to find the best eucalypt species – both durable and non-durable ­­– for NZ conditions. Natural durability is defined as “the inherent resistance of a specific timber to decay and to insect attack”. The most durable timbers last for many decades when used both in the ground and above ground. The natural durability of timber varies mainly according to tree species. An Australian Standard is commonly used to classify timbers according to their expected durability. Natural Durability Classes provide the basis for rating the timber’s performance and longevity in contact with the ground, or above the ground, when exposed to average environmental conditions. In practice, timber longevity depends on a number of factors as well as the inherent durability of the timber, including local conditions, the age of the tree the timber came from, and the piece size. Vineyard stakes - one of the target markets for ground-durable timber. The early eucalypts planted in New Zealand included many which produce non-durable timber (Class 3 and above in the Australian standard). Depending on species, non-durable timber is suited for external above-ground uses, internal uses like floorboards, panelling and furniture, and pulp production. Non-durable timber species planted included E regnans, E nitens, E obliqua, E delegatensis, E fraxinoides and E fastigata; most research and breeding effort to date in New Zealand has gone into these non-durable species. Some of these species continue to be planted and thrive in New Zealand, while others have succumbed to insect attacks and/or have proved to difficult to process and market cost-effectively. 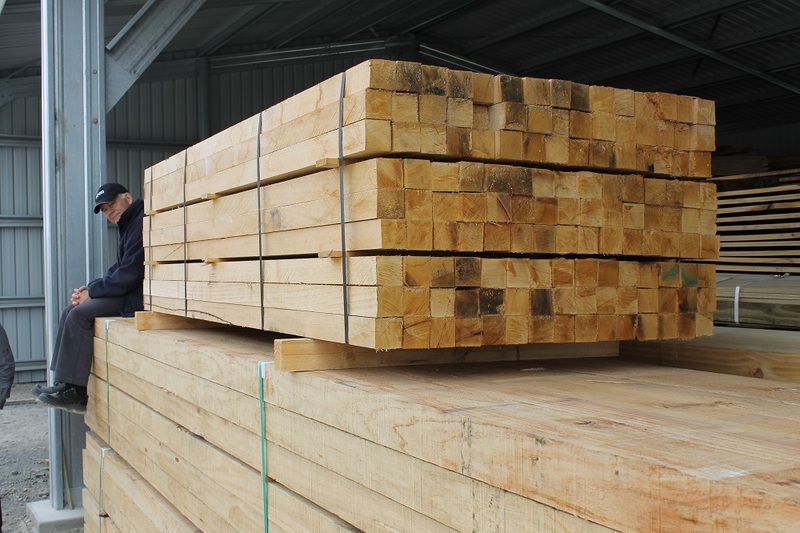 Early plantings in New Zealand did include a number of durable timber-producing species (Classes 1 or 2 in the Australian durability standard). However, the development of chemical treatment techniques for radiata pine, and the subsequent availability of relatively cheap, durable treated pine products, has meant limited interest in naturally durable timbers until recently. We now know that chemical treatment of timber causes a range of environmental problems. As a result, treated timbers are becoming unacceptable to many sectors and markets. This leaves a large gap which can best be filled by naturally durable timbers. The NZDFI is identifying the eucalypt species with most potential, and applying advanced tree breeding techniques learnt from decades of radiata pine research to produce improved planting stock. There has been very little formal genetic improvement work on any durable eucalypts to date, so the potential for improvement is huge. A Northland farm forester, the late Neil Barr, was a founding member of the NZ Farm Forestry Association (NZFFA), and also a eucalypt expert. After many years of growing and milling eucalypts, Neil wrote ‘Growing eucalypt trees for milling on New Zealand farms’ (published posthumously in 1996). This book remains an essential reference for NZ eucalypt growers. The late Ian Nicholas, a research scientist and farm forester, also made a big contribution to alternative species research and development during the 1990s and early 2000s. Ian was another eucalypt expert and was instrumental in the development of the NZDFI. 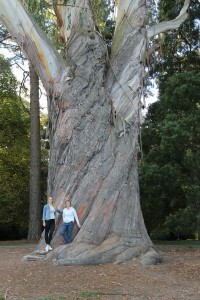 A number of farm foresters throughout New Zealand continue to champion eucalypts. Farm foresters lead the way in informal selection and breeding programmes, developing milling and drying techniques, and using the timber for various applications. 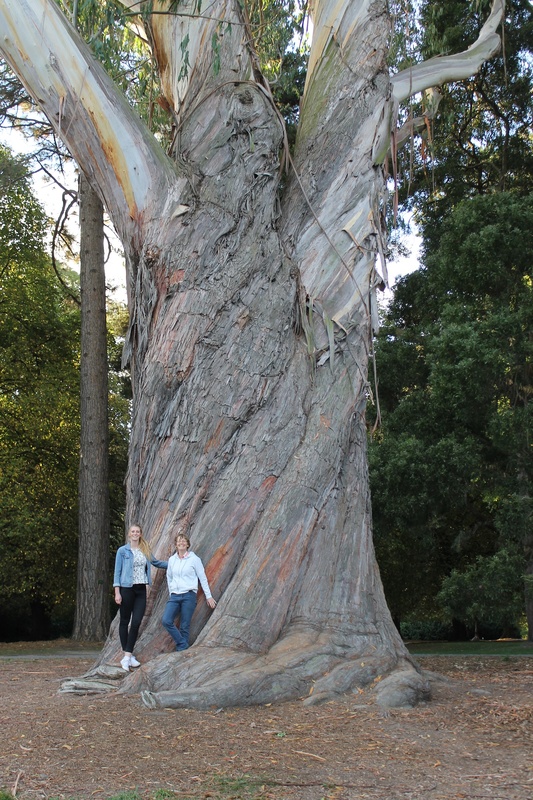 The NZFFA's Eucalypt Action Group has undertaken several grower-focused research projects in recent years, including an ongoing nationwide stringybark eucalypt species trial. 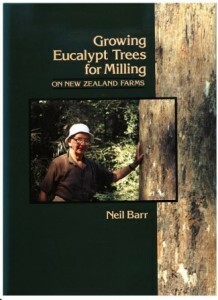 Purchase Growing Eucalypt Trees for Milling by Neil Barr for $15. Order your copy from the NZ Farm Forestry Association.